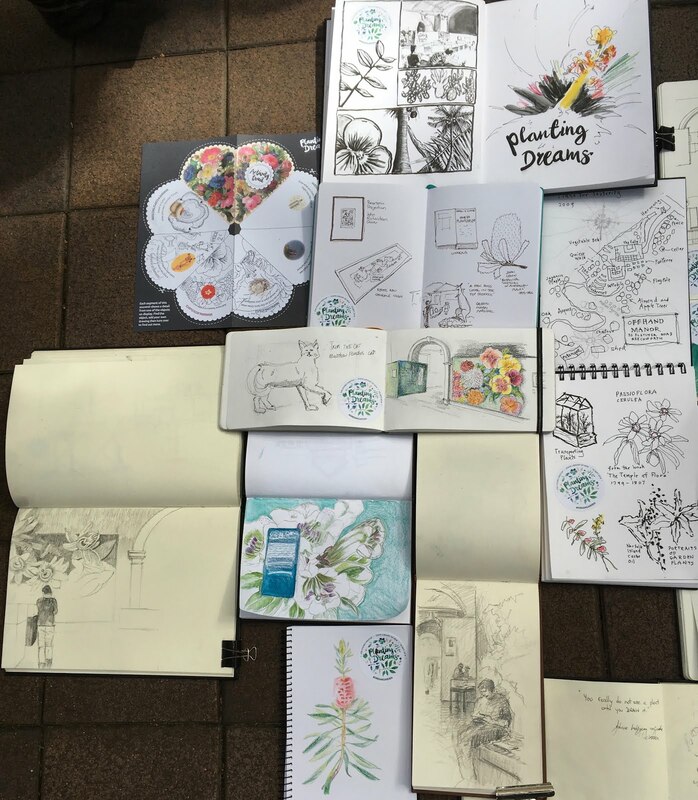 USK SYDNEY was treated last Saturday to a special event at the State library of NSW, called Planting Dreams: Shaping Australian Gardens. 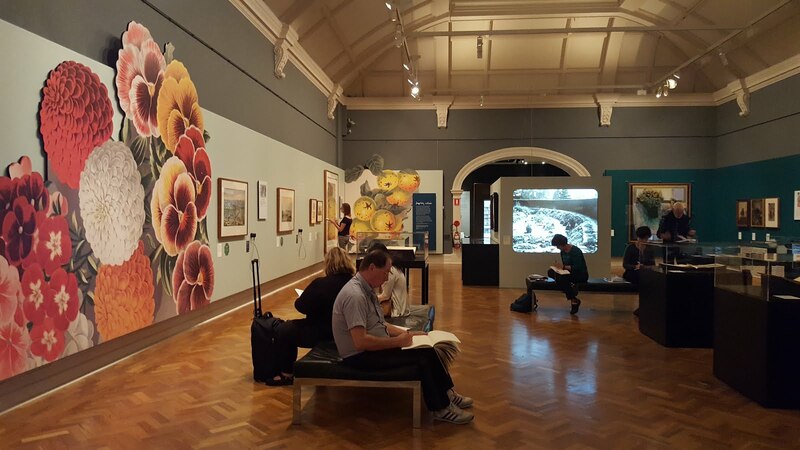 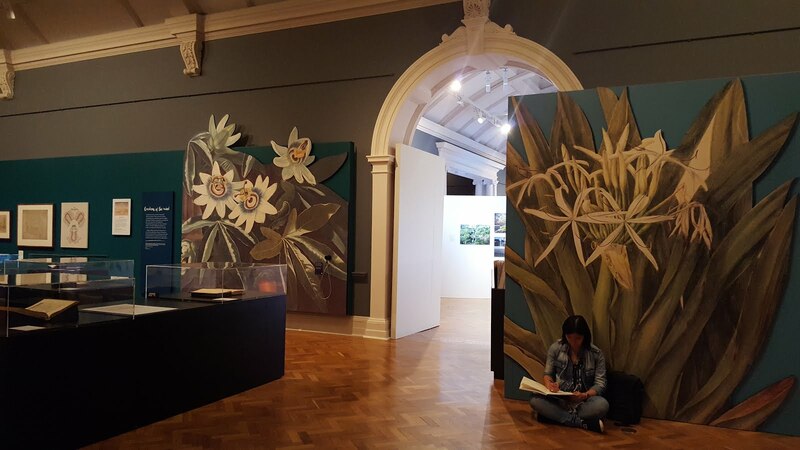 It has been curated by Richard Aitken, a fellow sketcher from Melbourne, who searched through the State Library’s collections and selected more than 150 rare, beautiful and at times unlikely objects - spanning over five centuries - to illustrate the rich and inspiring story of garden-making. 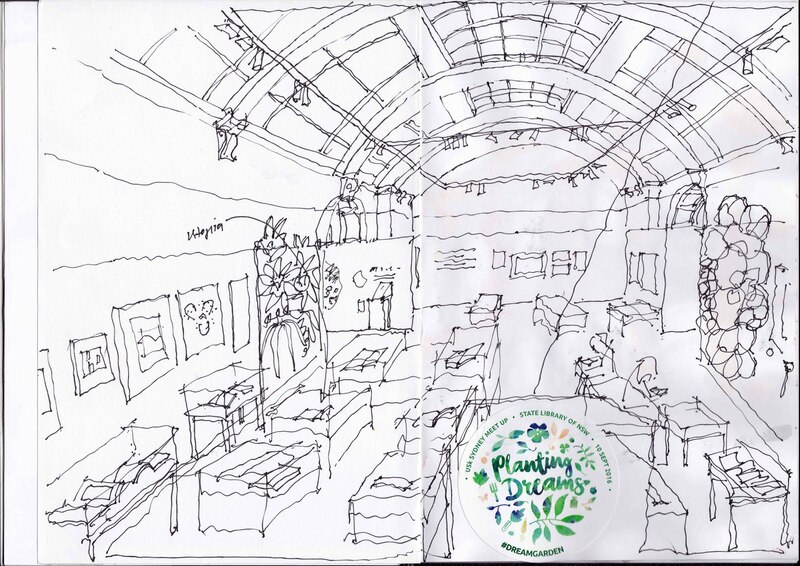 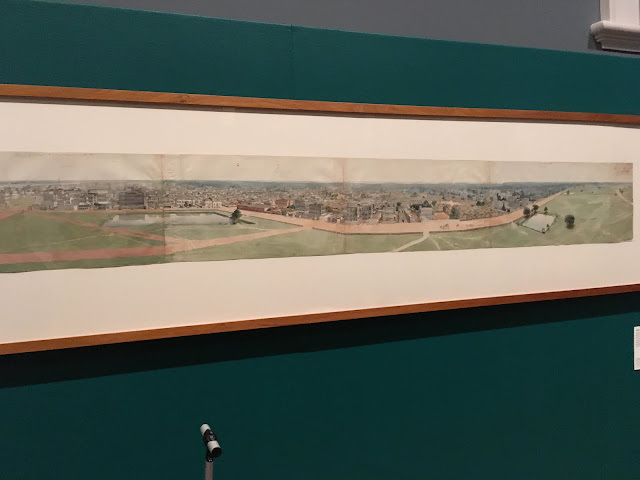 Some of my favourite exhibits were books from the 1400s and 1500s, and the panorama sketchbooks / drawings like the one of Calcutta below, which were very inspiring for us as sketchers! 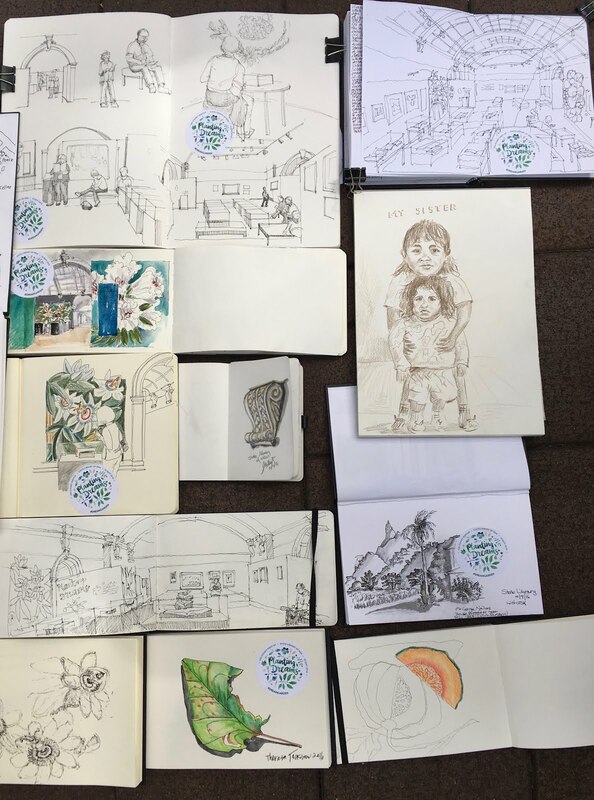 We felt a sense of being part of the continuing tradition of recording our surroundings that was so evident in them. 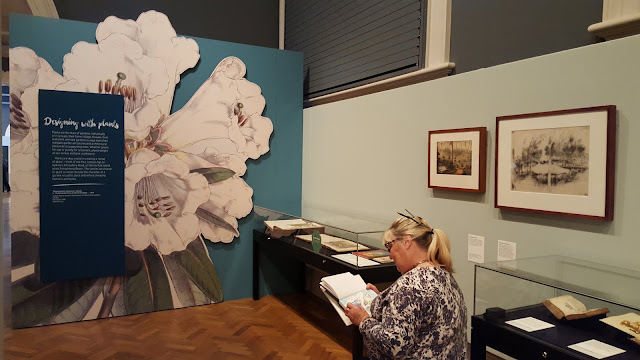 The exhibition is on until the new year so those who missed this can still visit it another time. Thanks Richard for a great morning!